The boys have access to a range of drawing and painting tools and apps on our iPads. Whenever I poke around on them, I'm blown away by the awesome things they can do. 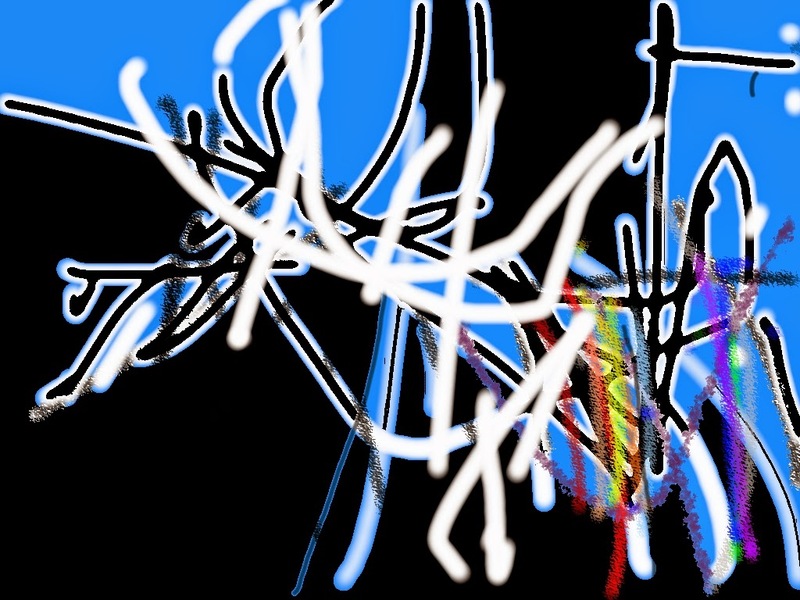 Ari hasn't taken much interest in them to date, but the other day he was using an app called Hello Crayon and he called me over to show me his work. He explained how it was mostly his favorite color, blue, but that he'd also used red, yellow, purple and green. I thought it was pretty cool but was particularly tickled by the sense of pride he had in his creation.